Laminate Flooring installation help is yours for the asking. Based on your custom requirements, Bloomfield Carpet and Tile will discuss sizes, styles, & textures and provide you decorating options that will result in a successful flooring project that will look beautiful for many years to come. Shaw Laminate Flooring use less newly harvested wood than conventional hardwoods. And feature our exclusive OptiCore – an environmentally friendly Laminate Flooring coreboard that's strong, stable, and moisture resistant. Laminate Flooring from Bruce can be installed in any room in your home. It’s also very durable. Bruce laminate can stand up to busy households with kids and pets. And Laminate Flooring is stylish too, coming in a wide range of styles and colors. Laminate Flooring and engineered hardwood products that meet strict U.S. Guidelines. Mohawk is committed to making sure that you get your money’s worth, and the newest Mohawk Laminate Flooring innovation goes even further. GenuEdge Technology is the highest standard when it comes to realistic-looking, low-maintenance laminate. 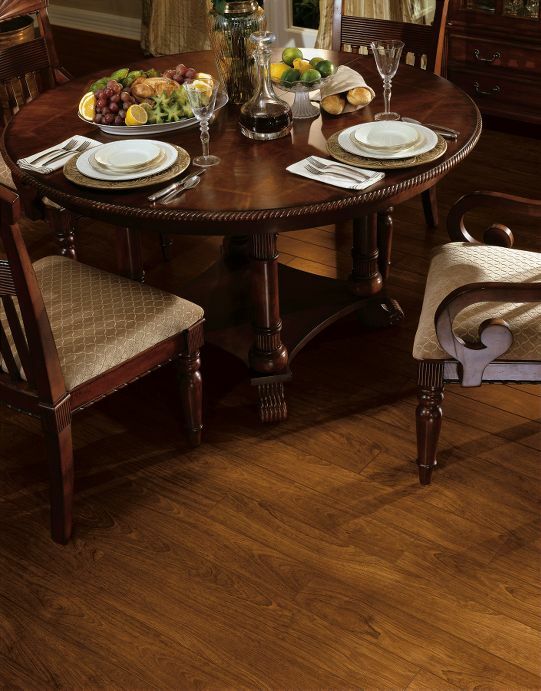 It captures the essence of high-end hardwood looks, giving you more options that fit your budget.